This prestigious sale offers ABBA Golden Certified and Certified F1 and F1 Plus females. An elite set of registered Brahman, Angus and Hereford females will also be presented with breeding-age bulls. These bulls will have a breeding soundness evaluation, negative trich test, and virgin certificate. This sale is the highlight event for the commercial breeders of the ABBA. All F1 cattle will be judged and more than $7,000 in premiums will be awarded to the top consignors. 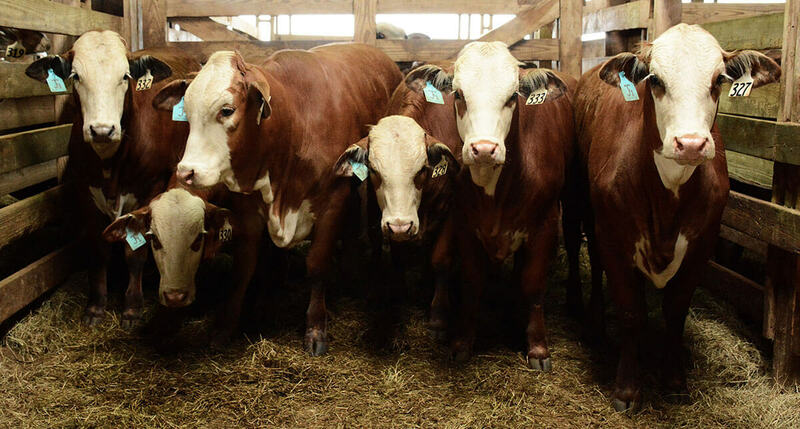 We are proud to offer cattle from the most reputable commercial breeders in the industry, including John Malazzo Farms, Terry Novak Ranch, Triple Son Farms, and more. We would also like to recognize and thank our many sponsors of this sale, making this event a favorite among breeders. Corporate sponsors for this year are Graham Land and Livestock and Positive Feed. Other sponsors include Producers Cooperative Association, 44 Farms, Nutrition Plus, Citizens State Bank, Bluebonnet Electric, Capital Farm Credit, Bud Cross Ford, Kawasaki of Caldwell, Cattle In Motion, ST Genetics, Multimin, Caldwell Livestock Commission, Broken Triangle Cattle Company, The Brahman Journal, Boehringer Ingelheim, Infinity Cattle Services, Sartwelle Brahman Ranch, Texas Hereford Association, and Terry Novak Ranch. This sale will be broadcasted live via Cattle in Motion.